In 2006, Karl Meltzer ran 10 ultramarathons, among them eight 100 milers and six wins. He was actually on his way to winning his seventh at the Chimera 100 Mile when severe weather caused a mid-race cancellation. In late December of that year, Karl was named UltraRunning Magazine’s (North American) Ultrarunner of the Year. 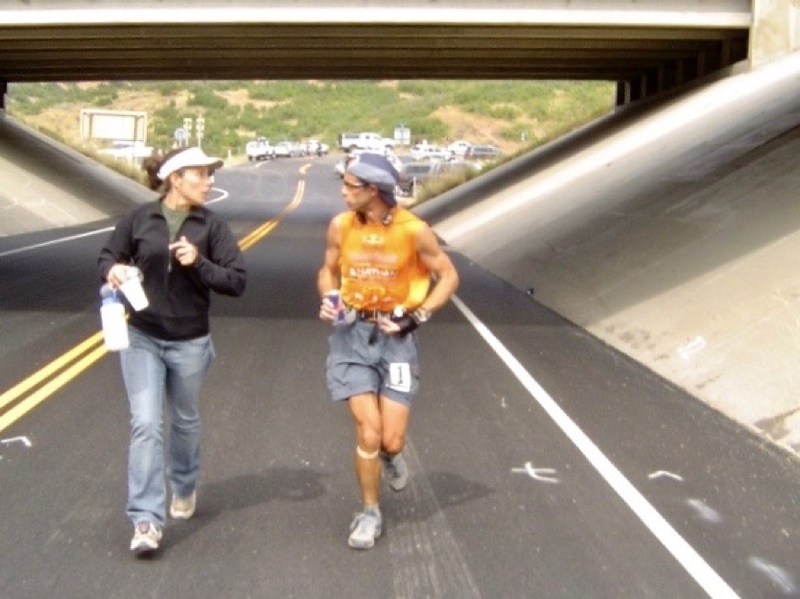 Karl began his 2006 season early at the HURT 100 Mile in Hawaii. At the pre-race briefing, legendary Hawaiian ultrarunner Akabill Molmen challenged the field when he said, “I don’t think anyone will ever break 24 hours here. In fact, I’ll give $1,000 to anyone who does.” That was clearly all the incentive Meltzer needed and he went on to win HURT in a then-course-record time of 22:16. After the race, true to his word, Akabill presented Karl with $1,000 in cash. After a few easy months and a mediocre (by his standards) 17th place finish at the American River 50 Mile, Karl traveled east for the notoriously rocky Massanutten Mountain Trail 100 Mile. In what he would eventually say was one of his two best races of that season, Karl ran a blazing-fast time of 17:58 and finished second to a virtually unknown (at least in the United States) South Korean runner named Sim Jae-Duk. “He just hammered the whole way, ” Meltzer recalls. “It was a style of racing I hadn’t seen before. We were pretty even on the rocks but he smoked me on the roads.” To this day, Jae-Duk and Meltzer have the first- and second-fastest times ever run at MMT and are the only two runners to have run under 18 hours. Two months later, Karl won his fourth Hardrock 100 in four attempts in an excellent time of 27:07. He recalls running with a group for about the first 40 miles and then steadily pulling away. “By that time, I had Hardrock pretty much dialed,” he remarked. Karl traveled to the Leadville Trail 100 Mile in August and had his most disappointing finish of the year, taking seventh when he ultimately had to walk the last 13 miles after succumbing to blisters on both feet for the first time in his life. His memory of the race, however, was not all negative, as he laughed about descending off of Hope Pass and encountering the then-unknown Anton Krupicka, “I said to the guys I was running with, ‘Who the hell is the naked guy. He looks like he’s going to totally blow up. '” Of course, Krupicka instead won the race and the rest is, as they say, history. After recovering from Leadville, Karl launched into what, to me, was one of the most extraordinary two months of ultrarunning ever with dominating wins at the Wasatch Front 100 Mile, The Bear 100 Mile, the San Diego 100 Mile, and the Javelina Jundred. Karl and soon-to-be wife Cheryl at the 2006 Wasatch Front 100 Mile. Photo courtesy of Karl Meltzer. Originally, he hadn’t even intended to run Javelina but a challenge from then Grand Slam record holder Joe Kulak convinced him to sign up. “Kulak said he’d buy me a six pack if I broke his [then] record. So I did.” Meltzer also set a course record at San Diego, running 15:48. This record still stands. Do you have memories from Karl Meltzer’s 2006 of racing? Did you race with him at an event or spectate a race at which he was running? Leave a comment to share a memory. Bonkers….that’s a lot of 100’s. It’s one thing to do them, but to win that many is amazing! 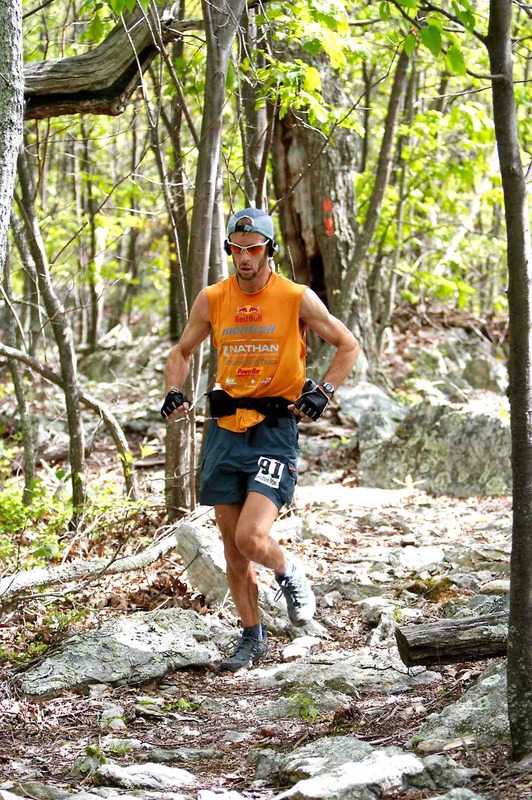 Karl is still the man when it comes to trail 100 milers. Last spring he won his last two. His reasonable approach to training miles is probably a big part of his success story. Awesomeness!!! Probably due to the Vitesses he was wearing. Those are them right? Bring them back Columbia-Montrail!!! This was around the time I got into ultrarunning and Karl was clearly one of the top two guys in that era (Jurek being the other). Good times. Glad to see he is still out there competing in – and winning! – races. What an inspiration! Unfortunately Karl probably doesn’t have Yuengling out in Utah..what a shame..
wait, how did he only win by 2 votes with that kind of season? *Also, appreciate the respect for Natty light. I’m guessing Jurek was second in voting, and got a lot of votes for winning Spartathlon and Badwater. He makes life and running simple and becomes legend at that. Speedgoat fan for life! Wondering how long the streak will last of winning a 100m every calendar year… 2020? 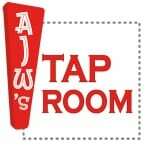 So, am I the only one who thinks we should start a GoFundMe project so that Karl can drink real beer? I ran a 50k at the US National Whitewater Center in NC in 2017. Karl won the inaugural race out there years earlier. The steepest climb on the course is named Goat Hill in honor of him. He ran again (and won again) the day of my race. Karl lapped me near the end on his namesake Goat Hill. As he passed me, he took out an earbud and said “nice shoes”. I was wearing his signature Hokas. I consider that the coolest moment of my running career. You are too kind Olga! It’s a big mental game with 100s and knowing how to strategize and stay positive is the key to success. Sure, we have to do the homework too, but it’s what’s in between the ears that brings success, and perhaps a few tips…. He still holds the CR for the 100 miler at MnNaughton Park ( now Potawatomi Trail Races) for over 10 years now! Anyone know what mileage Karl runs now or used to run per week when training for races etc? about 60 miles per week with nearly 12-15k of climb, depending on what season. Vertical can sometimes be higher during the summer too. Not one day on the track, just fast climbing cadence to create speed. I run a little less now, but figure with all the miles under my legs, 100 miles is hardly far and never intimidating anymore, even if I’m “off the couch”.. I had a LOL moment with the Natty Light. Whatever happened to Sim Jae-Duk? With a performance like that in Virginia, you’d think we would have heard me more from him in following years. He’s still racing. I’ve seen him run for South Korea at a couple 100k World Championships on the road. “Mr. Sim got his start running after six years of nine-hour workdays inside the ships, breathing chemicals and dust through a face mask. His respiratory system was so weak that in 1993, doctors recommended surgery to help him breathe. “Because of breathing difficulties, I always kept my mouth open, looking like an idiot,” he said. He also lost most of his sense of smell. (On race days, he asks fellow runners to smell his lunch box to check if any food has gone bad.) But Mr. Sim, a determined man if there ever was one, refused an operation. “Instead of surgery, I decided to run,” he said. “I decided that, even if I died, I would die running, with my lungs full of air.” His lung capacity, measured in 2003 at 69.5 percent, now registers as normal, he said. What a difference 13 years makes; hardly any cars cramming the Lambs’ Canyon underpass on race day! In all seriousness, Karl is an absolute inspiration and a great reminder that bigger (mileage) isn’t necessarily better. Now, the real question is when can we expect to see a Hoka Speedgoat golf shoe? Good point. Although keep in mind he was there pretty early and most of the crews were busy clogging up Big Mountain at the time. Still, you’re right, the busy-ness of the ultra experience has certainly changed in the last 14 years. Just at the tail end of David Goggins’ audio book “Cant Hurt Me”…is it phenomenal by the way!! !…but he mentions Karl a few times in it. Your amazing Karl!! I am very happy to hear that his training miles were not extremely high! So were you relying on your past experiences and recovery between events to carry you through each one since they were all scheduled close together? Hence my amazement when I saw your longest training run was 15 miles!! Ha, my miles are lower now even, simply because I focus on being recovered for each run, instead of pounding myself into the ground which creates just more soreness for us older runners. Doing 100s is easy, it’s the training that’s tough. Karl, are you doing Hellbender again this year? negative, running Sonoma 50 then Scout Mountain 100 instead.